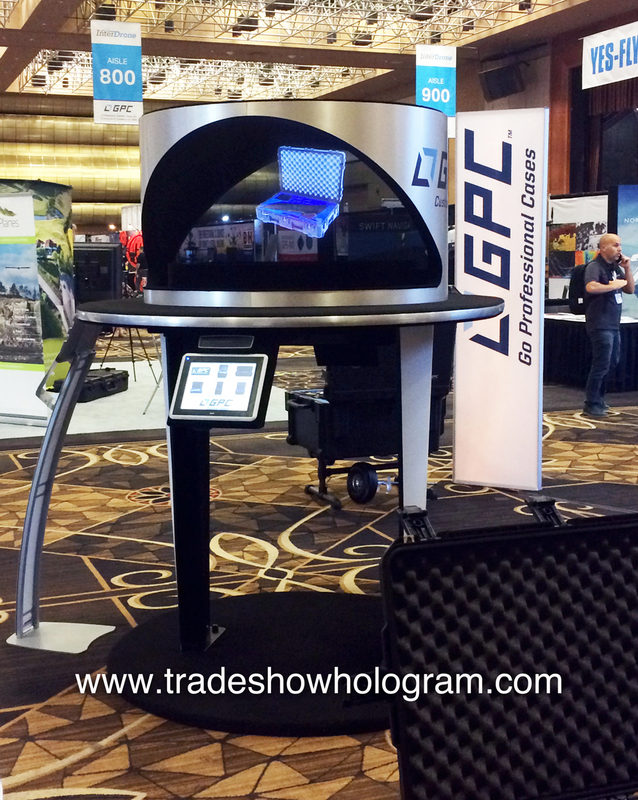 GPC ( Go Professional Cases ) recently featured a Dual sided 3d hologram projector at the 2017 Interdrone trade show held at the Rio Hotel and Conference centre in Las Vegas, NV. The projector, supplied by Trade Show Holograms displayed highlights of the GPC cases designed for the Drone Industry. The 3d Holographic Projectors allow viewers to see a 3D visual effect without the need of any 3D glasses. The special effect created by the display is popular with show exhibitors looking to draw attention to their booth. The displays are available for rental or sale from Trade Show Holograms, a company specializing in custom holographic displays since 2006. Holographic Projector displayed at Las Vegas Interdrone Trade Show.